Exclusively on the Formula DRIFT blog, we are going to start profiling confirmed international entries for the Red Bull Drifting World Championship. The first 2 international drivers have been announced. They are Fredric Aasbo from the Nordic Drifting Series and Pro Drift and Frederic “Steady Freddy” Girard representing Drift Mania Canadian Championship. Born and raised in the midst of the Scandinavian countryside, Fredric’s Dad quickly introduced him to the Norwegian rally scene. As a youngster he was let into a go-kart, and proved his car control skills at an early age being very fast under slippery conditions. 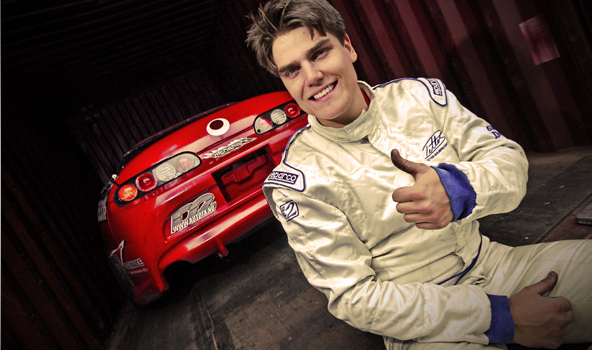 Discovering drifting as a 17 year old in 2002 got him hooked on the new form of motorsport, and the young Norwegian eventually got his own entry level drift car three years later. Becoming 2007 and 2008 Nordic Drifting Series Champion with Team Japan Auto and pulling consecutive qualification poles and podium finishes in the 2008 Pro Drift European Series have led the way to his US debut at the 2008 Red Bull Drifting World Championship in Long Beach, CA. Being very enthusiastic about the art of drifting and eager to take on new challenges, Fredric is a guy who goes all in whenever he gets the chance. Frederic Girard “Steady Freddy” is now well known by his drift technique, he starts the competition with one race line, and he keeps the same line for all the competition. He’s not the kind of showoff drifter, but he surely know what he’s doing and find the right way to make his way through the podium. Always around to help others drivers, he’s the kind of guy who wants to tandem with the best. Fred have always been seeking for adrenaline rush. Without any doubt he was living for that, while drifting dad’s truck and ATV. Riding sideways is much exciting than going straight, he realized that he wasn’t alone with the same thinking… Japan was drifting for so many years!. 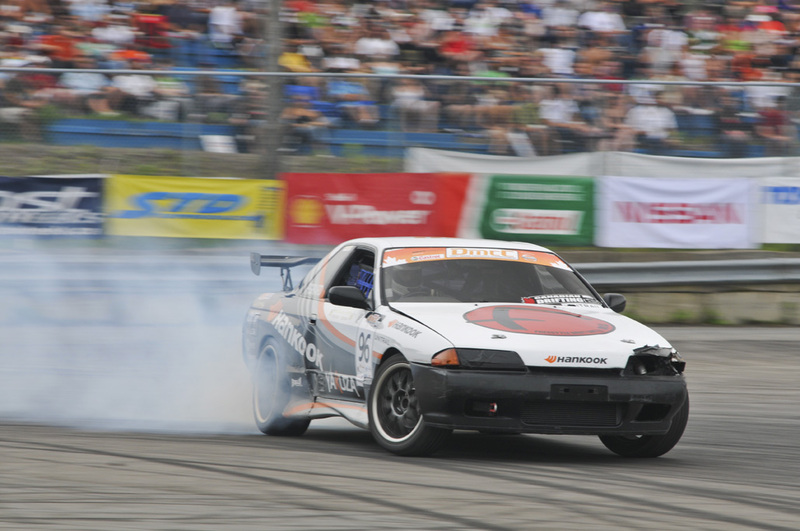 In 2003, he bought his first RWD car, a 87 Corolla Ae86 and decided to go drifting at Sanair Racetrack in St-Pie, Quebec. This first racing day scheduled by Roadz Tuning was in fact a full lapping day with Carl Nadeau as the coach. After many sessions, he founds that pushing a car to his limits was such a nice thing and went to Toronto to watch the DX2 show with Signals Twins and Team Orange. In 2004 he bought his second Corolla but this time it was a Coupe from the Canadian Rally Championship. This car was modified with a racing cage, bucket racing seats and a 5 points racing harness. 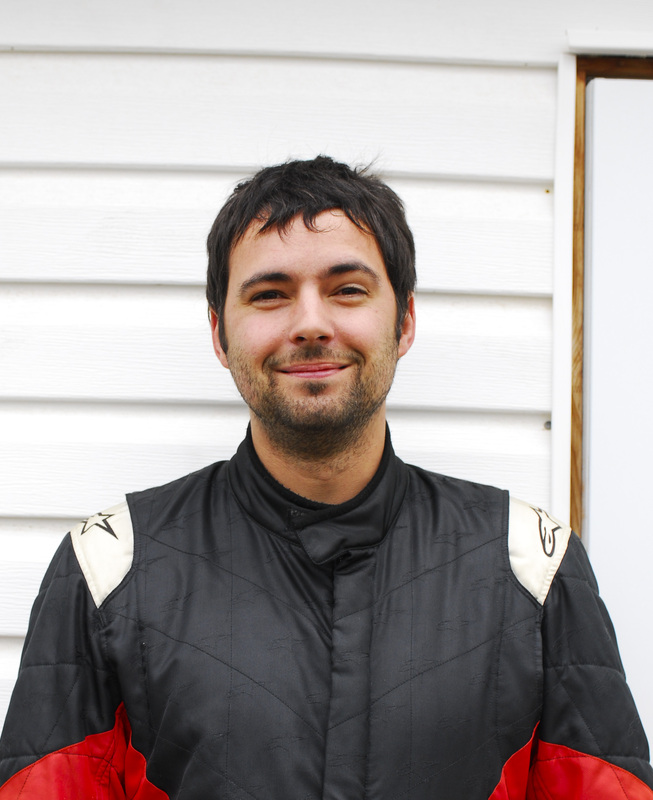 He felt in love with racing… so much he moved to Calgary and participate at some RallyCross and Time Attack events. In 2005 , he went all out and bought a R32 Skyline HCR32 from Roadz Motorsport. First weekend back from Calgary, first drift day. Perfect setup, he gained controls among the day and decide to participate a every practice available and EVEN decided to go back to Calgary to drift in 3 events. He finished 1st and 2nd at the two Edmonton Drift Meltdown and at the Falken DriftShowoff ,he finished 2nd and only Canadian on the podium. Experience was rising new height !! In 2007, with all Time Attack, Road Race and Drift Practices, he was top shape to start the season with so much confidence. 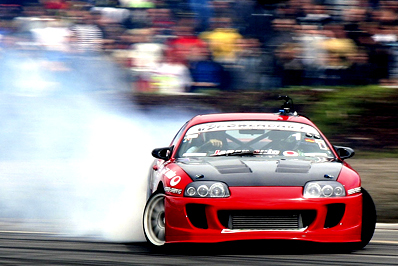 He knew he was one of the top drifters in Canada and he proved it. He won the 2007 DMCC with a total of 549 points. In 2008, with the DMCC title to defend, getting trough some bad crashes and an engine blow out. He always came back on track and proved again to be the best Canadian Drifter. More drivers to be added shortly. Stay tuned for more information on the Red Bull Drifting World Championships! . Next Next post: FD Drifters go golfing? Huh?